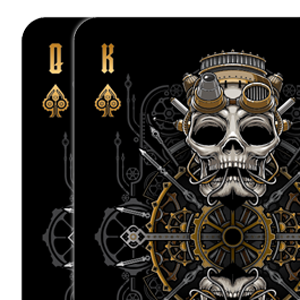 Here at Gambler’s we take pride in the art of producing beautifully designed, high quality custom playing cards. 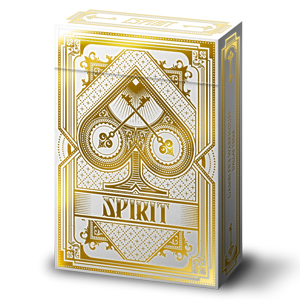 Whether you are an individual looking to create a deck of cards as a gift, a corporation seeking to offer a fun new promotion tool, or a skilled playing card designer– We have what it takes to help you carefully plan out your project and make sure that you receive the best quality playing cards for your project. Please call us for a quote today! Your Deck of Cards can be Fully Customized to fit your needs! We offer pinochle, regular, and jumbo pips. We can also custom design pips to match your branding and identity or specific idea. 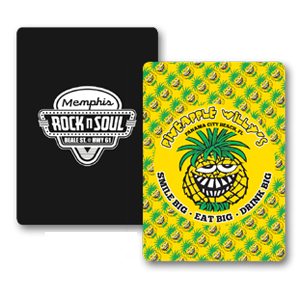 Both sides of the playing card can be effectively used to create interest in your products or services, to commemorate a special occasion or as a souvenir of an important event. Custom Tuck-boxes available. The sky is the limit on your box design! Embossing & Foiling available. Please contact us for more details.